My career began before I even realized it, cutting hair in my parents's kitchen as a hobby. After working many various jobs I decided to take my hobby and make it a profession. I attended Regency Beauty Institute to further my knowledge and increase my passion for haircutting. Once graduated I began my apprenticeship at Sassoon Salon in Scottsdale, AZ. Shortly there after, having realized that my passion was not just in being behind the chair, I went back to school so I could become an educator. 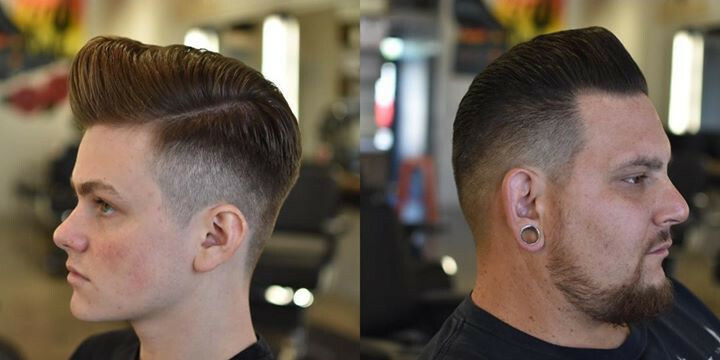 While educating at an amazing school for several years I continued to spread my knowledge of haircutting, especially within the technical aspects and understanding men's and women's cutting methods, with every student who entered our doors. While teaching, I decided to join Floyd's 99 Barbershop and became part of their Regional Educating Team. My passion for education grew even more as I was chosen by the world renowned Schorem (Scumbag) Barbershop in Rotterdam to be part of the Reuzel Education Team for North America as a Scumbassador. My passion lies within helping others to understand the importance of the craft and seeing how successful a creative mind can be.